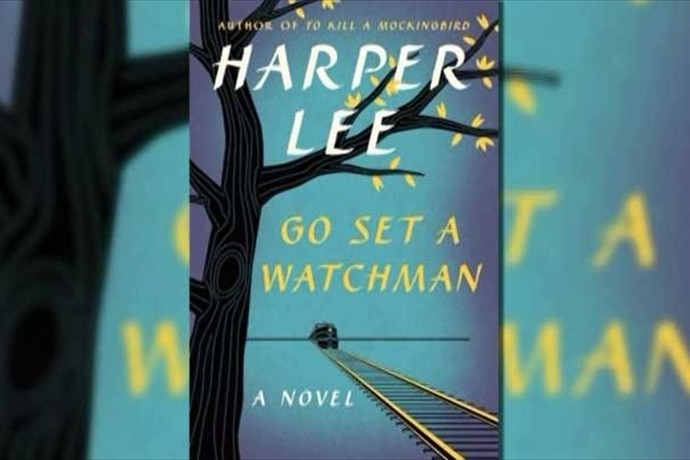 Book Review: Go Set a Watchman by Harper Lee – BOBBY JAMES. By now you’ve probably seen coverage of, or articles regarding Go Set a Watchman, the condition of Harper Lee (and is she/isn’t she being taken advantage of), and that this is an unrefined manuscript – a draft, printed as is – that was written in the mid-1950s, before her widely acclaimed and beloved To Kill a Mockingbird (1960). For me, To Kill a Mockingbird was one of the few novels I enjoyed reading in school – it’s actually one of the only novels I read entirely (without spark notes). I was captivated by the story and since then, it’s stuck with me. One of my first years at college, I’d spotted Mockingbird at the bookstore and since then it’s been displayed beside some of my favorite literary works and influences. Upon learning Go Set a Watchman existed – and was scheduled for publication – I felt immediate excitement. I’m not an avid reader (thought I’m training myself to become one) – so that excitement was significant. I knew I would begin and finish the book during its initial week in release. I didn’t anticipate doing so in just one day though. I love these characters and the idea of spending more time with Scout – in Maycomb. Pages turned and the story – and her world – unraveled in what can only be described as a significant and powerful story. The entire time, I couldn’t help thinking about how revolutionary Lee’s work would have been in the mid-1950s. This – and Jean Louise Finch, especially – was well ahead of its time. Set a Watchman comes nearly 60 years after it was drafted – and yet, the story is timely and relevant, as if crafted for now. Such relevance should tell us something for we, as a nation, are still struggling with civil rights, racism and discrimination. This, a decades old story, provides us with a message sure to make Watchman an instant literary classic. The story adds depth to To Kill a Mockingbird, while offering readers a truer and more unpleasant, mature and complex view of our world, history and people – then and now. Scout’s bittersweet homecoming is an identifiable struggle we’ve all experienced in some form – with people and places that have shaped our individual attitudes and identities. Through her struggle, we may create a dialogue for change – or we may take a moment for self-reflection, to challenge our own thoughts and confront our inner demons. Either way, Go Set a Watchman is significant. As for the story itself, I loved the meanderings on time gone by and how they intricately wove into Scout’s present, building to that final, exhausting internal and external conflict; a battle between past and present, ideal and real. Though, in a way the story feels incomplete. Knowing this is the final story to be told by Lee with her characters, I’d have loved total resolve and finality. Not having that though, is still somehow satisfying and okay. I can imagine the future for these characters and I can hold onto the single most important theme in Watchman: hope. Fun-fact(s): In my return to Maycomb, Alabama, I bought Honeycombs cereal to have for breakfast – and this is my site’s 200th post!